Choose this pretty, pastel coloured design, perfect for a girly hen party. 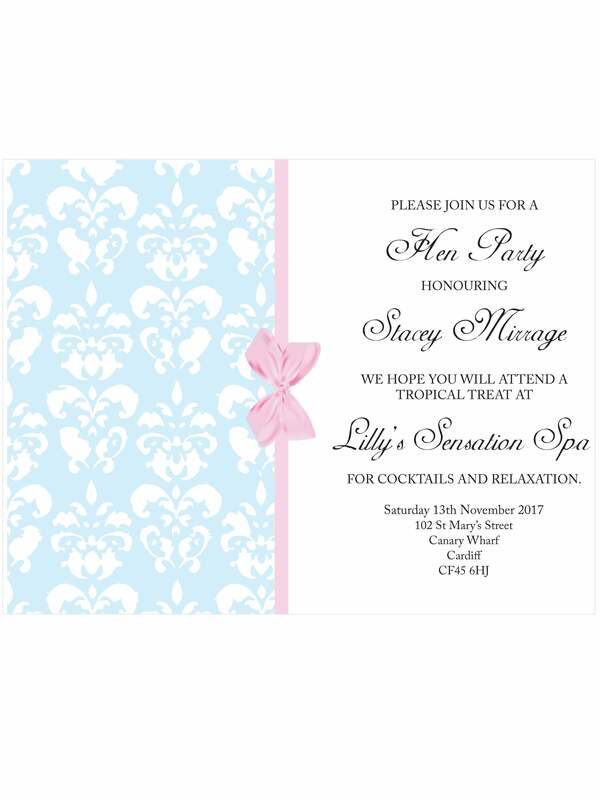 This design would suit a vintage-themed party, or a spa hen party, and is the kind of invitation that gets pinned to pin boards due to its beautiful aesthetics. Add your personal details when placing your order, and we will personalise the invitation for you. You will receive a PDF file via e-mail, which you can then print as many times as you need; there's no need to worry about running out of hard-copy invitations, as this file leaves you open to print more, as and when you need.